Did you just get a new Silhouette Alta® 3D printer? Learn some quick tips on how to get the most from your Silhouette Alta® and what to do to get your prints looking just the way you want. 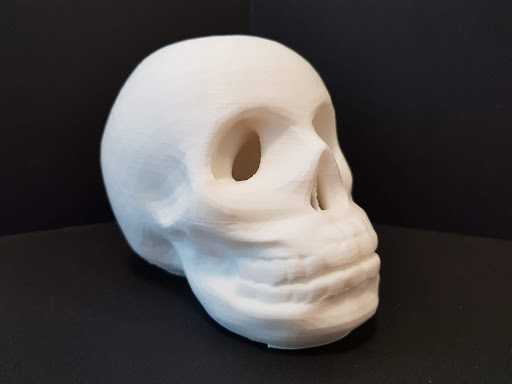 The “Standard Quality (PLA)” print profile is fantastic for quick and simple jobs; however, this print profile does exchange speed for detail. So the first thing I want to recommend is trying out the “High Quality (PLA)” print profile. This will increase the print time, but I promise you the wait is worth it! We achieve this by decreasing the Layer Height, reducing the Speed of the Alta’s print head, but increasing the Shell Perimeter. But why does this increase the print quality? Layer Height: This setting adjusts the thickness of each layer. Decreasing this value increases the number of layers that your model will contain, and that allows for more detail to be achieved. It’s important to note that this setting does not affect the size of your model. Speed: Reducing the speed of the print job gives the PLA filament more time to cool before the Alta’s print head comes back around again. 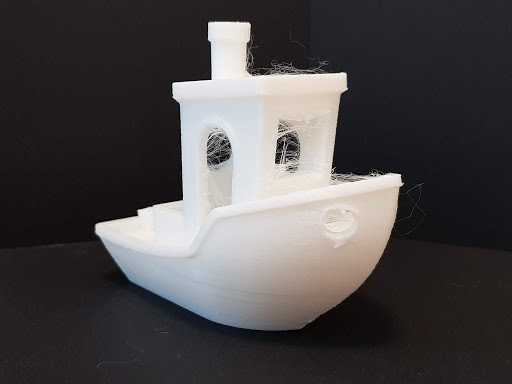 Giving the PLA more time to cool before applying more PLA helps to prevent warping and other issues that could affect the surface detail of your 3D model. Shell Perimeter: This one sounds quite confusing but is actually very simple! 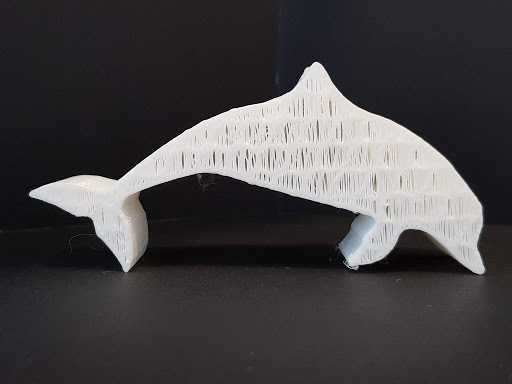 The Shell Perimeter is simply the distance between the outer edge of your model and the beginning of the infill and the greater the distance between the two helps to prevent holes from appearing in your model. Now that we know how to get the best quality print, it’s time to share what to look out for and what settings can be tweaked in order to avoid mishaps. 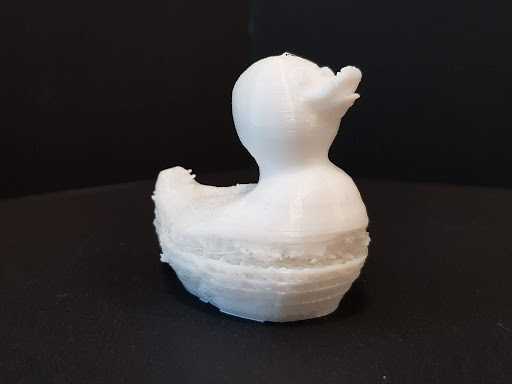 NOTE: If you have to tweak and save any of the settings, the software will create a custom print profile that you can use with your future prints. 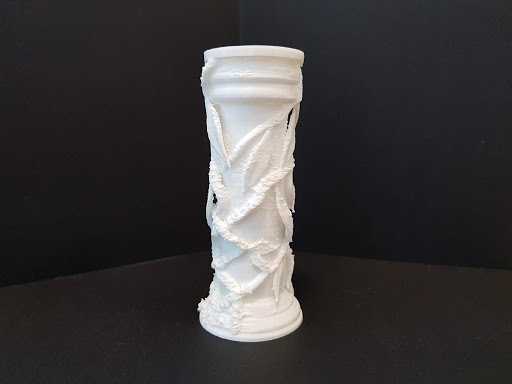 Turns out warping is quite a common issue in the world of 3D printing, but luckily it is an easy issue to avoid! Warping occurs due to PLA contracting as it cools down, which can cause the corners of your model to lift off the print bed. But as I mentioned earlier, this is super easy to workaround. Simply going through these upcoming points will put your warping days behind you. Keep the Alta door closed. The door is there for a reason; it keeps heat inside the printer and also eliminates the potential drafts. Reduce the speed of the First Layer. This will give the PLA more time to cool down before the Alta’s print head goes over it again, and that helps the PLA to stick to the print bed more firmly. You can tweak this setting within the “Speed and Extrusion” tab of the Advanced Print Settings. Recalibrate your Alta. Even though all Alta machines are calibrated before we send them out, there is always a chance that the printer may become misaligned during its journey to your doorstep. If this is the case, it’s likely that Alta’s print head is printing too high from the print bed, and that causes the PLA not to stick on the print bed properly. Click here to find more info on how to calibrate your Atla. If once your print is complete and the shell (or outer wall) of your 3D print contains holes or is rough to touch, I recommend further lowering the Layer Height and reducing the Shell Perimeter Speed of the print. Both of these are already lowered within the “High Quality (PLA)” profile, but they can be lowered even further if needed. This term comes from when PLA is extruded while the Alta’s print head is moving from one place to another where no printing should be happening. These strands of filament cool down and harden into thin pieces of string. To combat this, a decrease in Temperature and Travel speed should do the trick! 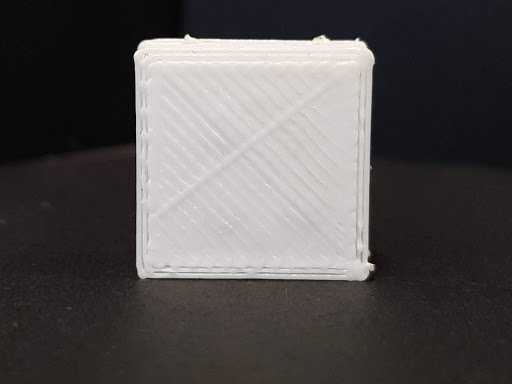 To adjust the temperature of the Alta’s print head, go to the “Layers and Perimeters” tab of the Advanced Print Settings. There are no registration marks in 3D printing, and that means 3D printers have no specific data to confirm the position of your model. In very rare cases, layers can shift positions in the middle of a print, resulting in a wonky print. 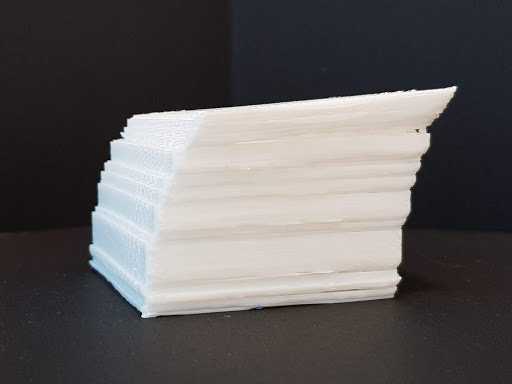 If you are one of the few people who experience this issue, go to your “Speed and Extrusion” settings in the Advanced Print Settings and lower the Travel speed of your Alta’s print head. Moving the Alta machine while it’s in the middle of printing something can also cause the layer to shift, so make sure not to move your Alta when it is printing. YOu want the outer shells of the 3D prints to look pristine. 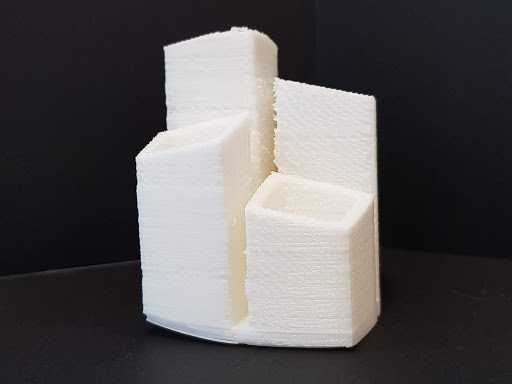 When it comes to the infill, all we really want is the infill to be strong, sturdy, and printed quickly. It is worth noting though that in rare circumstances, this can cause gaps between the Infill and Shell. If this does happen, increasing the Infill Overlap setting allows the infill and the shell to connect as expected. You can find the Overlap settings within the “Infill” tab of the Advanced Print Settings. If you encounter small gaps in your top layer, it is most likely due to the Alta not adding enough layers to the top of your model to fully cover the infill. I’m not going to lie; this issue can be frustrating because you don’t realize it’s happening until the final hurdle of your 3D print. But as with all the other problems, a quick update to your settings can get you up and running again, so stay strong! Simply go to the “Layers and Perimeters” tab of the Advanced Print Settings window and increase the number of Top Layer Shells. To get a successful print, the most important part of your print is to make sure the first layer sticks to the print bed. If your model isn’t sticking to the bed, it’s likely to be caused by a misalignment of the Alta printer head. As above I recommend checking out this video on how to calibrate your Alta. If your first layer still isn’t sticking to the bed after a recalibration, you may want to lower the speed of the first layer. To do this, go to the “Speed and Extrusion” tab of the Advanced Print Settings window and lower the speed of First Layer. Show us what you’ve made! That’s all from me for today, but I hope you’ve found all of the above information useful as you dive into your own 3D projects! Make sure to share what you’ve made on our Facebook Group as well! First of all thank you very much for your post, it really helps us to advance in the world of 3D. Wonderful article, Jordan! Thanks for all these great tips on the Alta print settings! Hi, just got my Alta yesterday, and it’s very nice. Few teething problems though. First problem was a bit fiddly loading the filament but found ,if you straighten the filament it goes in easier. Second problem was print not sticking to the bed,, I saw a tip about using a glue stick on the bed material and had no problems after that. If I do a stock cube design,, no problems, I have made an object in freecad and done a thirty minute print and had no problems. I believe that the design in silhouette studio is only able to go to a certain level and loses layer information,, is this the case ? Hi Davy. I haven’t personally experienced freezing prints from 2D Silhouette Studio files. However, I don’t see how having Designer Edition would resolve that issue. Before you rush out and buy Designer Edition (although I absolutely love it for other things), please check with Silhouette Support to see if they can help you resolve the issue with your Alta.